In August 2016, we published a blog post highlighting a variety of municipal laws providing for gender-neutral bathrooms. We discussed gender-neutral bathroom requirements in Washington, D.C., Philadelphia, Seattle, Chicago, and New York City. The post also noted that the ability of some municipalities to bring about changes is limited by state codes. 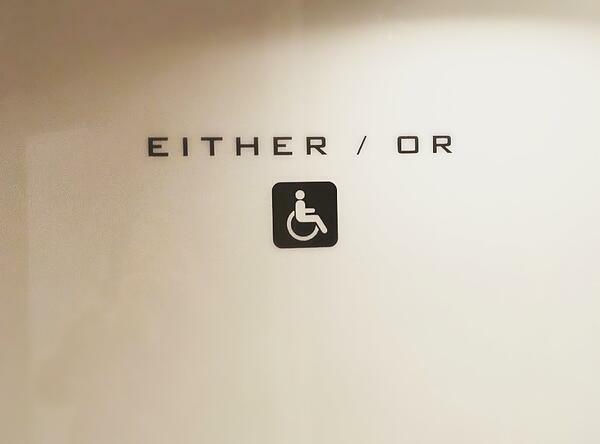 We thought we would review developments regarding gender-neutral restrooms since our 2016 post. Our original post provided some examples of new municipal gender-neutral bathroom laws that conflicted with state plumbing codes that require a specific number of male and female plumbing fixtures depending on the occupancy and type of business. State and local jurisdictions may adopt the 2018 IBC change as part of their regular code updates. However, this process may take time depending on the jurisdiction but will hopefully eliminate some of the conflicts between local and state codes. . Meanwhile, Yale University filed a lawsuit in June of 2017 against the State of Connecticut challenging the Connecticut State Building Code’s plumbing requirements. The university wanted to redesignate single-user bathrooms in the law school as gender-neutral, and thereby reduce the number of gender-specific bathrooms. In order to redesignate the bathrooms, the university sought an exemption from the state’s gender-specific plumbing requirements. The Connecticut Codes and Standards Committee denied Yale’s request, and the university appealed the decision in the Connecticut Superior Court. The Connecticut governor later indicated he planned to grant Yale’s request. This summer, Connecticut is also expected to adopt updates to its building code following the 2018 IBC. Thus, the state will now allow gender-neutral bathrooms to count toward the number of bathrooms required for male and female users. In December 2016, Denver amended the Denver Building and Fire Code to require all single-occupant restrooms, including family or assisted-use restrooms, in both the City and County of Denver to have gender-neutral signage. (See sections 2902.4.2 and 403.4.2)The new requirements went into effect for existing buildings in April 2018 and will be necessary for all new construction. The amendments do not mandate a particular type of signage. All that is required is that the signage clearly shows that the bathroom can be used by any gender. All plans for new buildings submitted to Denver Development Services for review must show that proper signage will be used if they include single-occupant restrooms. The mayor of Hoboken, New Jersey issued an Executive Order on April 25, 2018, requiring all municipal single-occupancy restrooms to be gender-neutral. Hoboken, a city of approximately 50,000, is located on the Hudson River across from New York City. On May 16, 2018, the City Council passed Ordinance B-29 adding a new Section 115-10 to Hoboken’s Health/Sanitary Code requiring all single-occupancy bathrooms in “any business establishment, place of public accommodation, and city-owned building or facility” to be gender-neutral. The new law will include single-occupancy employee restrooms in places covered by the ordinance. Existing buildings were given 60 days from the effective date of the ordinance to put in place signage indicating the bathrooms were gender-neutral. The governor of California signed Assembly Bill No. 1732 into law on September 29, 2016. Amendments to California’s Health and Safety Code mandated that “all single-user toilet facilities in any business establishment, place of public accommodation, or state or local government agency” will be identified by signage indicating they are all-gender. The amendments went into effect March 1, 2017. The new Vermont law also references the state plumbing code and provides that separate male and female facilities are no longer required so long as the total number of required plumbing fixtures is available for use by any gender. Any rules adopted by the Plumbers’ Examining Board should be consistent with the new requirements. With the new 2018 IBC provision and changing public expectations, it is likely that the number of jurisdictions adopting laws supporting gender-neutral bathrooms will increase significantly. We will continue to follow this trend and appreciate the assistance our summer intern Jordan Nelson who conducted the research for this post.